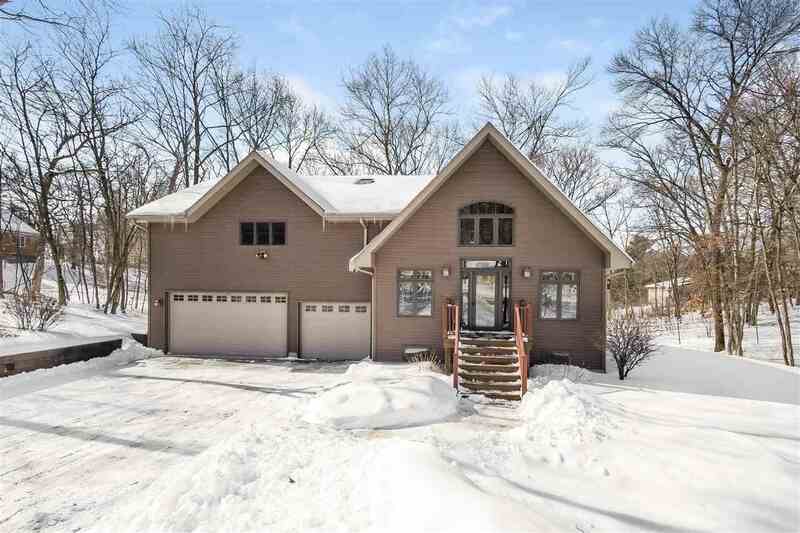 This Amish craftsmanship styled home is located on a private 1.7 acre corner wooded lot of Hickory Hills. Lake frontage on separate parcel on Grandview with pier included, 25 ft of frontage. In 2005 this home expanded adding a large, welcoming great room with cathedral ceilings, master suite, private jetted tub, walk in shower and laundry! Completely updated kitchen with beautiful backsplash. Lower level offers a wet bar, rec room, walk out and in-floor radiant heat. Your heated 3 car garage, with in-floor radiant heat, is home for your boat in the winter! Hurry before summer arrives! Directions: Hwy 78 North Of Prairie Du Sac, Right Onto Grandview, Left Onto Sue Kay, Left Onto Grace. Property On Left. Items Included: Range/Oven, Refrigerator, Dishwasher, Washer, Dryer, Water Softener, Window Coverings/Blinds, Garage Door Remotes, Pier.